...up to 100 to come... I'll post them a few at a time. Why is this first one #3: Numbering is as per my heptomino data file and will skip rectifiable and uninteresting heptominoes. 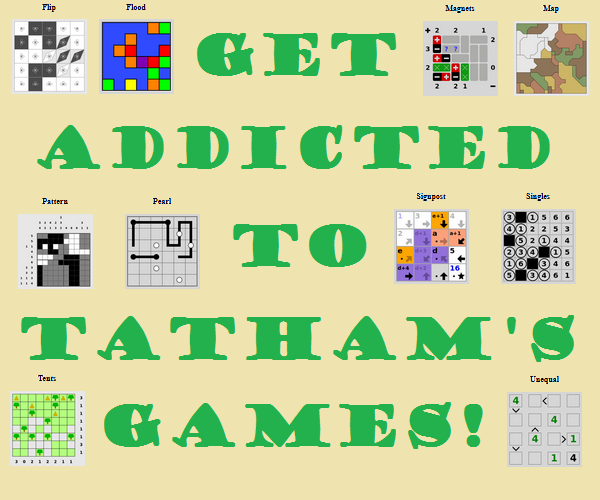 Some of them will be posed as no-computer hand-tiling only puzzles. 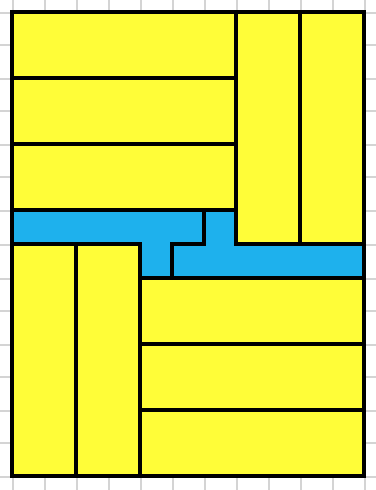 The goal is to tile rectangles as small as possible with the given heptomino, in this case number 3 of the 108 heptominoes. We allow the addition of copies of a rectangle. For each rectangle $a\times b$, find the smallest area larger rectangle that copies of $a\times b$ plus at least one of the given heptomino will tile. Now we don't need to consider $1\times 1$ further as we have found the smallest rectangle tilable with copies of the heptomino plus copies of $1\times 1$. I found 87 more but lots of them can be found by 'expansion rules'. I considered component rectangles of width 1 through 11 and length to 31 but my search was far from complete. Many of them could be tiled by hand fairly easily. Left: if $n-1$ is divisible by 7, size: $(n+1) \times (n+5)$. If $2n-1$ is divisible by 7, size: $(n+1) \times (2n+5)$. Right: if $n$ is divisible by 7, size: $(n+1) \times (n+7)$. Otherwise, the size is $(n+1) \times 8n$.